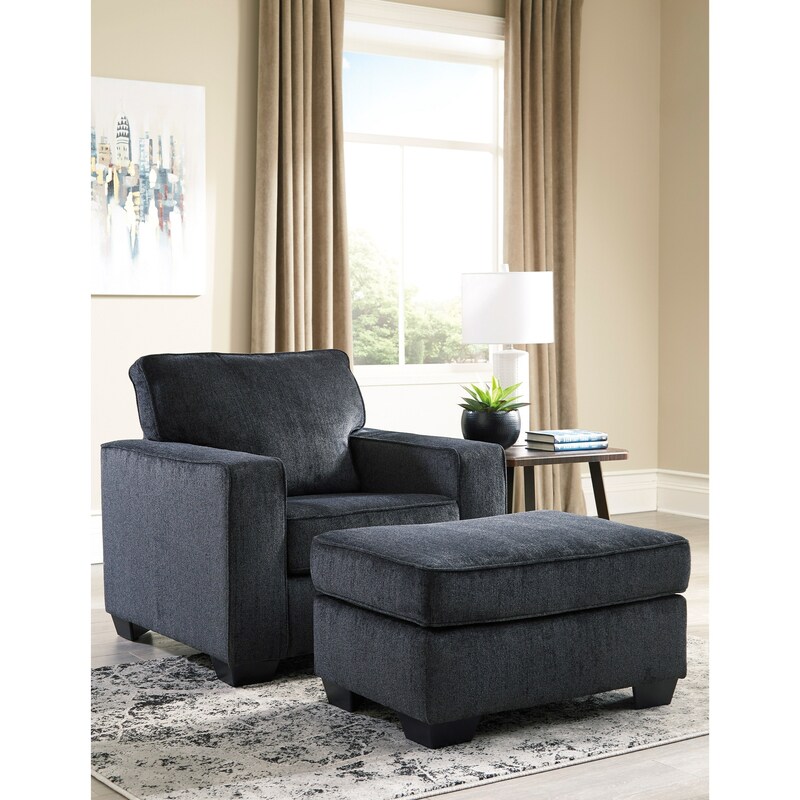 Give your living space a clean, comfortable, and contemporary seating option with this plush chair and ottoman. The piece features straight, simple lines paired with wide track arms and exposed, tapered feet for a perfect combination of modern and casual. Furthermore, the darker slate fabric makes a bold statement, while also able to be matched easily with existing decor. The Altari Contemporary Upholstered Chair and Ottoman by Signature Design by Ashley at Household Furniture in the El Paso & Horizon City, TX area. Product availability may vary. Contact us for the most current availability on this product. The Altari collection is a great option if you are looking for Casual furniture in the El Paso & Horizon City, TX area. Browse other items in the Altari collection from Household Furniture in the El Paso & Horizon City, TX area.